From the beginning, we, at the Asbestos Disease Awareness Organization (ADAO), have been concrete in our stance to protect asbestos victims’ civil rights. Harmful asbestos legislation, such as the different versions of the Fairness in Asbestos Injury Resolution (FAIR) Act and the Furthering Asbestos Claim Transparency (FACT) Act, victimizes thousands of mesothelioma patients and their families across the nation. ADAO remains dedicated to preventing asbestos exposure to eliminate mesothelioma and the other asbestos-related diseases. As the ADAO wrote on Jan. 8, asbestos victims are outraged. Each year, up to 15,000 Americans die from preventable diseases, while lethal asbestos remains legal in the U.S. Congress should focus on protecting public health, consumer safety, the environment and asbestos victims’ civil rights, not the FACT Act. Publicly lists the name and exposure history of a claimant and the basis for any payment from the trust make to such claimant. Past, present and future asbestos victims have every reason to be outraged. We deserve better. In a strategic move by U.S. House Republicans to increase the chance of passing, the original bill, proposed in 2015 by Republican U.S. Rep. Blake Farenthold of Texas, was merged with another bill and renamed the Fairness in Class Action Litigation and Furthering Asbestos Claim Transparency Act of 2016 (H.R. 1927). The House voted and passed the new bill on Jan. 8, 2016 by a slim margin. Although we may have lost in the House, the voting record tells the important story. Several U.S. House members, Republicans and Democrats, recognized H.R. 1927 as an assault on civil rights, and a bill that jeopardizes Americans’ privacy. Every single Democrat in the House (172) voted against the bill, as well as 16 Republicans, bringing hope the bill will fail as it moves to U.S. Senate. Thirty-three House members declined to vote on the measure. If you’re interested in seeing how your U.S. House member voted on the bill, you can read the results here. Susan Vento, widow of the late U.S. Rep. Bruce Vento, D-Minn., shared her thoughts after H.R. 1927 passed the House. As the bill approaches the Senate, we ask U.S. veterans, asbestos activists, mesothelioma patients and families to send your letters to Congress, urging legislators to stand up for Americans and ban asbestos now. Asbestos-related diseases have killed more than 150,000 Americans since 2004, and that number will continue to rise if Congress fails to focus on legislation that will allow the U.S. Environmental Protection Agency to ban asbestos. Despite popular belief, asbestos is still legal in the U.S.
Companies that ruthlessly exposed Americans to a known carcinogen must be held accountable. The House vote is reprehensible because it will let asbestos corporations off the hook while creating major privacy risks for victims and delaying financial assistance and justice. We expect the Senate to demonstrate their dedication to ending the man-made asbestos disaster by stopping wasting time on special interest bills like the FACT Act. And if the Senate passes the FACT Act, we will count on President Barack Obama, who passionately opposes the bill, to veto it, as he already threatened, when it reaches the Oval Office. 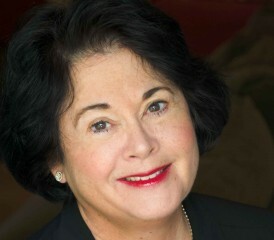 Linda Reinstein is cofounder of the nonprofit Asbestos Disease Awareness Organization (ADAO). In 2003, doctors diagnosed her husband, Alan, with mesothelioma. Because of that experience, Linda has dedicated her life to the prevention of asbestos exposure and protection of asbestos victims’ civil rights through awareness and advocacy.